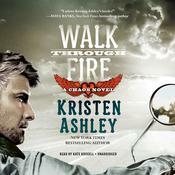 Kristen Ashley presents the third book in the New York Times bestselling Chaos series. The ride of her life … Once upon a time, Carissa Teodoro believed in happy endings. Money, marriage, motherhood: everything came easy—until she woke up to the ugly truth about her Prince Charming. Now a struggling, single mom and stranded by a flat tire, Carissa is pondering her mistakes when a vaguely familiar knight rides to her rescue on a ton of horsepower. Climb on and hold tight … In high school, Carson Steele was a bad boy loner who put Carissa on a pedestal where she stayed far beyond his reach. Today he’s the hard-bodied biker known only as Joker, and from the way Carissa’s acting, it’s clear she’s falling fast. While catching her is irresistible, knowing what to do with her is a different story. 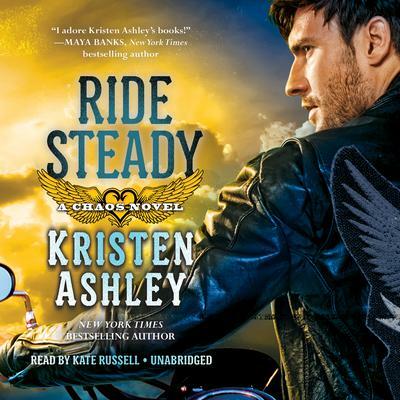 A good girl like Carissa is the least likely fit with the Chaos Motorcycle Club. Too bad holding back is so damned hard. Now as Joker’s secrets are revealed and an outside threat endangers the club, Joker must decide whether to ride steady with Carissa—or ride away forever. 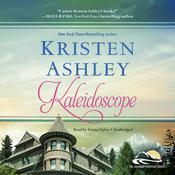 Kristen Ashley presents the third book in the New York Times bestselling Chaos series. Once upon a time, Carissa Teodoro believed in happy endings. Money, marriage, motherhood: everything came easy—until she woke up to the ugly truth about her Prince Charming. Now a struggling, single mom and stranded by a flat tire, Carissa is pondering her mistakes when a vaguely familiar knight rides to her rescue on a ton of horsepower. In high school, Carson Steele was a bad boy loner who put Carissa on a pedestal where she stayed far beyond his reach. Today he’s the hard-bodied biker known only as Joker, and from the way Carissa’s acting, it’s clear she’s falling fast. While catching her is irresistible, knowing what to do with her is a different story. A good girl like Carissa is the least likely fit with the Chaos Motorcycle Club. Too bad holding back is so damned hard. Now as Joker’s secrets are revealed and an outside threat endangers the club, Joker must decide whether to ride steady with Carissa—or ride away forever.